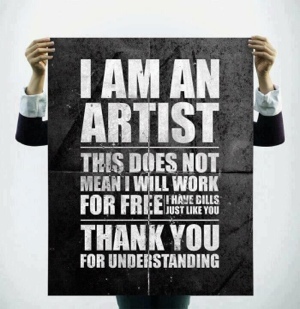 Why do people ask for free product or designs from struggling artist? When they are so willing to spend money on a famous millionaires product! support them, so they can continue to bring you the things you enjoy. Support unsigned artist, as we are the stars of tomorrow.